For almost half a century, students have been calling for the University to build and fund a multicultural center. For nearly half a century, Harvard has said no. For almost half a century, students have been calling on the University to build and fund a multicultural center. For nearly half a century, Harvard has said no. Calling for a physical space for students of marginalized backgrounds, generations of campus advocates for a multicultural center have argued the building represents a necessary means to foster inclusion for Harvard’s increasingly diverse student body. After a September draft report from the University-wide task force for diversity and inclusion recommended the creation of centers for “Identity, Politics, and Culture” and “Inclusion and Belonging,” and after Harvard has created more offices and administrative positions for work on diversity, some students say they are hopeful that now—after years and years of frustration—a multicultural center will come to fruition. The Undergraduate Council also recently redoubled efforts to push for this initiative with the development of the Multicultural Center Coalition. Last month, they held a town hall to hear student perspectives on the creation of a center. “If you say that you care about diversity when you're admitting students, but not when they actually attend the University, that shows an inherent conflict in their values, and I think we need to change that going forward,” Sonya Kalara ’21, a UC representative, said at the town hall. In an interview earlier this month, Dean of the College Rakesh Khurana said Harvard is carefully considering a multicultural center and is making sure to consult all affected affiliates. “We don’t want to just rush into something without making sure that we really brought everybody along and everybody’s had a chance to participate in what way feels right to them,” Khurana said. The recent spark in student advocacy for a multicultural center forms the latest episode in a long-running debate on Harvard’s campus and has roots in the nationwide campus protests of the 1960s. After student civil rights protests consumed college campuses across the nation in the 1960s and 1970s, students at many Ivy League schools began advocating for various forms of cultural centers. At some institutions, these centers manifested in the form of a multicultural center, like the Third World Centers at Princeton and Brown, both of which opened in the 1970s and were later renamed. Yale took a different approach, building culturally distinct centers around the same time. These included the Afro-American Cultural Center that opened in 1969 and La Casa Cultural that opened in 1974. Students pushed for the creation of a multicultural center at Harvard in the 1960s, too. The Faculty Committee on African and Afro-American Studies published a report around the time that called for the creation of a black student center, eventually resulting in the opening of the Harvard-Radcliffe Afro-American Cultural Center in 1969. The center did not receive any funding from the University, though; a lack that ultimately led to its closure in 1974. When student groups jointly submitted a proposal for a multicultural center in 1995, then-Dean of Students Archie C. Epps III opposed it, saying it would divide the student body. "It would be inconsistent with [Harvard's] purpose to set aside space for racial, ethnic and cultural groups," Epps said at the time. "Third-world or multicultural centers promote racial separation." Instead, Epps pointed to the Harvard Foundation for Intercultural and Race Relations. He said the foundation served "to help students share different cultures and ethnic traditions within the College." Over 40 years later, Harvard still does not have a multicultural center. The College, though, has taken several other steps in an effort to make campus more diverse and more inclusive. “In recent years, the College has implemented several key initiatives that underscore our commitment to inclusion and belonging,” Associate Dean of Students for Diversity and Inclusion Roland S. Davis wrote in an email. Davis pointed to the Office for Equity, Diversity, and Inclusion, which opened in 2014, as an example. The EDI is comprised of the Office of Diversity and Inclusion, the Office of BGLTQ Student Life, and the Harvard College Women’s Center. He also lauded the College’s newly renovated space in Grays Hall, which houses the Office of Diversity and Inclusion and the Office of BGLTQ Student Life. Despite these efforts, many students maintain that a multicultural center is still necessary, arguing that students of color feel they need a space for collaboration and community. 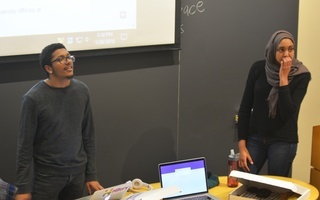 “I think it'd be really nice for multicultural organizations to have one because I also think it's something that would enforce a lot of collaboration among groups that tend to be more separate,” Simi N. Shah ’19, co-president of Harvard South Asian Association, said. “Some of it stems from lack of a common space,” she added. Supporters of a multicultural center also argue it would create a space on campus where they would not have to continually teach their peers about the difficulties of being a person of color. 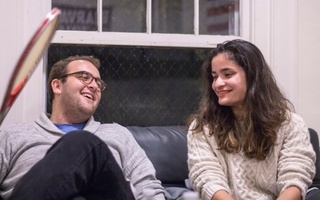 Salma Abdelrahman ’20, who leads the UC’s Multicultural Center Coalition, said Harvard students often say conversations in dorm rooms or dining halls comprise the best place for learning about and from people of different backgrounds and cultures. “That's all very coded language for, sometimes in my experience, what's been an expectation of students of color being the sort of teachers in situations that feel very power-skewed,” she said. Abdelrahman said she believes the best solution to this problem is creating a physical center that specifically caters to the needs of students from underrepresented backgrounds. “The importance of a physical space is paramount in this discussion because it's a space that people can go to feel that they're not operating in a building that was built by people that don't look like them, for people that don't look like them, with the names of people that don't look like them branded on the front of the building,” she said. Regarding what a multicultural center might contain, some students said they envision it as a forum for events, discussion, and even research. “I think it should be a space with conference rooms, offices, and an auditorium. It should be a huge space that allows for discussion, organization, and cooperation between groups,” Diego Navarrete ’21 said. Navarette serves as a political action chair for Fuerza Latina and as a communication co-chair for Act on a Dream, an immigrant rights advocacy group. In addition, given the longstanding push for an Ethnic Studies concentration at Harvard, Navarrete also suggested a multicultural center would be the ideal location to house a future Ethnic Studies department. “I think that one of the main things about having a multicultural center is having a space that promotes not only diversity and inclusion, but also the academic study of race and ethnicity,” he said. Many students question why this fight has taken so many decades. While the College is aware of these persistent demands, administrators say they believe a process as delicate and as important as this must not be rushed. Khurana said the College needs to hear from a wide variety of students before it can approve a multicultural center. “If you really respect people’s participation, then you have to listen to them. You have to make sure all voices are heard,” he said. Still, advocates say they are frustrated by what they call the slow pace of progress, especially after decades of echoing calls for a multicultural center have all proved unsuccessful.